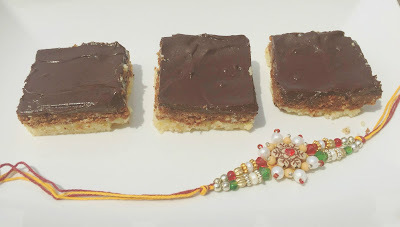 Chocolate Barfi and the Mithai Bucket List ! 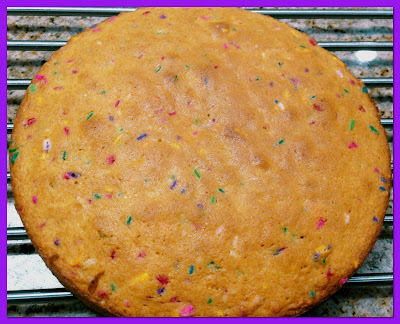 Funfetti Cake and Happy Occasions ! 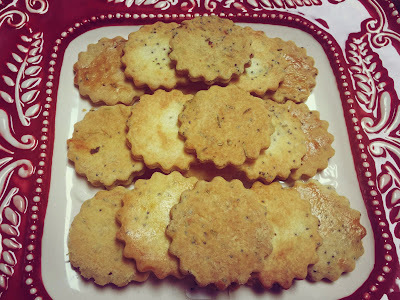 Rosemary Poppy Seeds Biscuits or Should I say Crackers ? 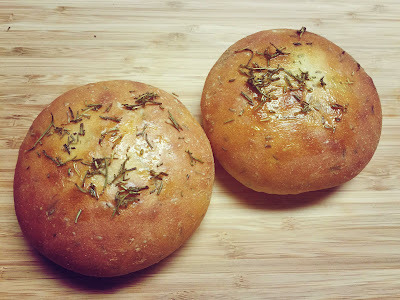 Yes, before faithful blog followers point out , let me admit it myself ..I still had some rosemary left and while not fresh had to be incorporated into a bake. Not just any other bake...mind you..a savory bake ..why?? ..because I was once again bitten by the savory bug. After baking so many sweet treats, I have developed a temporary aversion to them . Let me admanantly admit that this aversion is temporary (has happened one time too many ) , so you guys won't have to wait too long for a sweet bake. For now though, I had to satiate my savory craving and these rosemary poppy seeds "biscuits" seemed the logical choice for my next baking adventure. Fresh Rosemary Bread and Thoughtful Gifts ! I'll be the first to admit that I don't possess a green thumb. My knowledge of gardening is practically zilch but that doesn't stop me from dreaming of going to my imaginary herb garden and just picking a few and incorportaing them in my bakes. My imagination is quite vivid and advanced in that regard-- I can even smell the fresh herbs lending a heavenly aroma to my kitchen . What pure bliss can I conjure ..right ? Anyways, coming back to reality , the closest I come to getting this spiritual experience is when a good friend takes pity and gifts me some fresh herbs. That does happen and I bless them a million times.